With this new website I take my first tentative steps into the wholly digital world, led by specialists, to create a platform for old and new work, an archive, a space to try out experiments… and also to give some kind of account of myself. 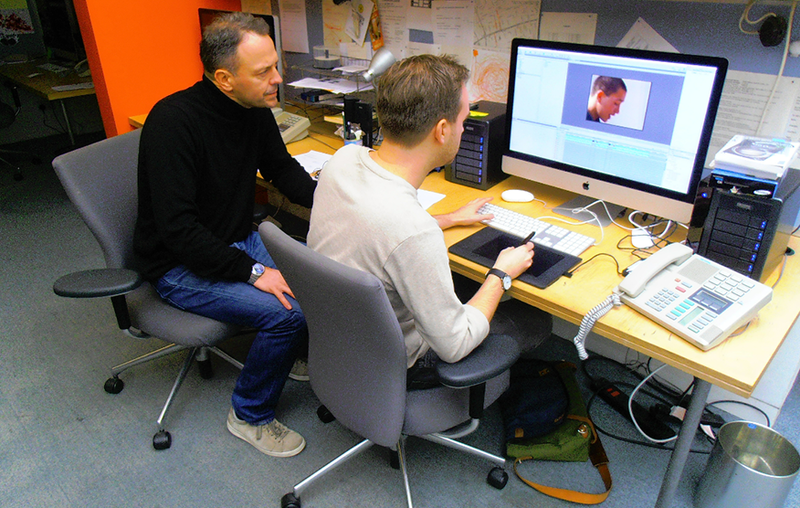 Mark Ayres & editor Ben Hunt at Team, working on the Real Money DVD. I hope users find the site interesting. If you are reading this you are already here. You may still wonder exactly where you’ve landed and I encourage you to wander and try all the doors. In a few weeks there will be more doors leading to different rooms and some of the rooms you visited before will have changed, expanded, subdivided, perhaps vanished. Ané & Marc are the two co-founders of the creative agency on-IDLE. One of the rooms is a shop. Here you can buy DVDs or pay to stream completed films to your computer. The rest of the site is free access. The sales will help keep the site up and running, will help it expand and grow. The site is an ambitious project and if it succeeds, if it finds enough interest and support, will soon hold a whole library of video and very much more besides. A lifetime’s work, much of it made in East London. With more films yet to be made I hope and added to the shelves. RLP Projects and Team Media Production are reissuing on DVD two of Team Pictures’ earlier films, Fighters and Real Money, made in East London by Ron Peck and Mark Ayres for C4 Television. Both have extras, material only available on the DVDs. Fighters includes The Jimmy Flint Interview, where Jimmy gives a lively and passionate account of his boxing career and talks about his shift to acting. It’s an interview that turns into a show-stopping performance. Real Money is supplemented with Tests and Rehearsals both for Real Money and what was the intended follow-up Gangster. In these you will see again the actors from Real Money, creating strong characters and working on different dramatic scenes, amongst them Jimmy Flint again, Jimmy Tibbs, Mark Tibbs and many others. Both these DVDs, and the DVD of Cross-Channel, with Mark Tibbs and Alan Milton, can be ordered from the shop. Fighters, Real Money & Cross-Channel can also all be streamed to your computer. Again please go to the shop for this. Fighters is the centerpiece of this website launch because making its archive of videos available is a big reason why the site was created in the first place. Also the film, despite its very good reputation, has not been easily available for some time. On November 21st 1991, the film had its first screening at the ICA Cinema in central London and the same cinema has been hired again, with Steve Bunce from Box Nation hosting a special screening for many of the people originally involved in the film and for many involved in today’s boxing world. The screening has had much appreciated support from the British Boxing Board of Control and been made possible by the extraordinary efforts of Dean Hollington and Kevin Hempsted especially. Many thanks to all of them. From the proceeds of the evening a donation will be made to one of the boxing charities. Interest in the screening has been high and it’s possible a second showing will be organized in East London early in the New Year. More material will go onto the site in January and regularly thereafter, including, I hope, a lot more Fighters rushes. An application is being made to Heritage Lottery Fund to see if it’s possible to get financial help for the preservation and digitizing of this material as it’s a very costly process and there are a lot of tapes. As well as completed Films, which will be added to, there will be a new ‘Films’ option, ‘The Ones That Got Away’, which will include material about films on which a lot of work was done but which, for one reason or another, were never made. 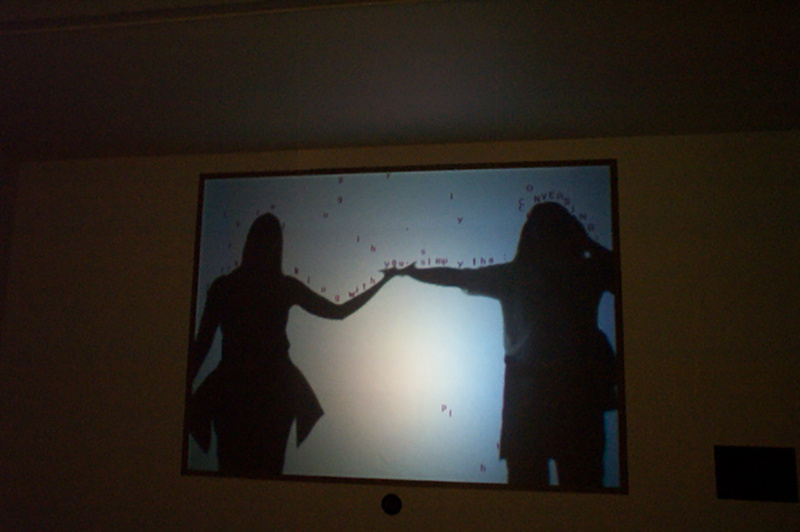 They nevertheless generated a lot of fascinating stuff, including a lot of video. I very much welcome responses and hope users and those who sign up will say what they think about what’s on the site and make any suggestions. All this will be very useful. I hope you find the site lively and entertaining. It will get bigger and better.